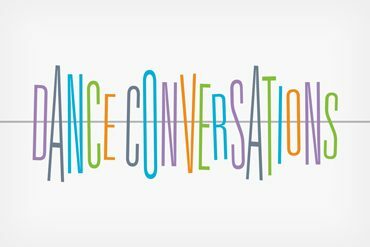 The Flea Theater is delighted to announce the 2009 – 2010 Dance Conversations @ The Flea series, continuing the spirited debate about dance and dancers for the seventh consecutive season. Inaugurated in September 2003, Dance Conversations @ The Flea is a free monthly performance series. This season, Nina Winthrop and Taimi Strehlow curate the series. Dance Conversations @ The Flea presents works-in-progress by dance artists experimenting with new ideas and new forms. Each event in the series features the works of 4 emerging and mid-career choreographers and each performance is followed by an open discussion between the artists and the audience, moderated by choreographer Nina Winthrop and other leaders in the field of dance. Dance Conversations @ The Flea was created in response to a need for a lab-like space in which working artists can engage in a meaningful dialogue with the audience. It is dedicated to nurturing new works and to the free exchange of ideas, thoughts and opinions between artists and audience. Expect the works presented to be in various stages of development—raw, half-baked or fully developed. Nina Winthrop (Curator) formed her company, Nina Winthrop and Dancers, in 1991. Her works have been presented in venues throughout New York City and Los Angeles, including Danspace Project, Joyce SoHo, Brooklyn Academy of Music, Movement Research at the Judson Church, Mabou Mines’ Toronada Theater at PS 122, and The Flea Theater. Her dance films have been screened in the US and abroad. Nina was awarded a Bessie Schönberg Choreographers’ Residency at The Yard in 2004, a Dancenow/NYC’s Silo Artist Residency in 2005, and participated in the Schönberg Choreographers Lab at DTW in 2005. She is on the Board of Directors of New Dance Alliance and Danspace Project. A graduate of Bennington College, Nina danced with Wendy Perron, Susan Rethorst, Yoshiko Chuma, Sally Silvers and Kei Takei, with whom she toured the USA and Japan, and studied with Erick Hawkins, Merce Cunningham and Deborah Hay. Taimi Strehlow (Assistant Curator) is also the managing director of Nina Winthrop and Dancers. Before entering the dance world, she was a television producer with A&E, The History Channel and PBS. Her film, “Big Known Names” received the best documentary prize at the 2007 Red Bank International Film Festival.